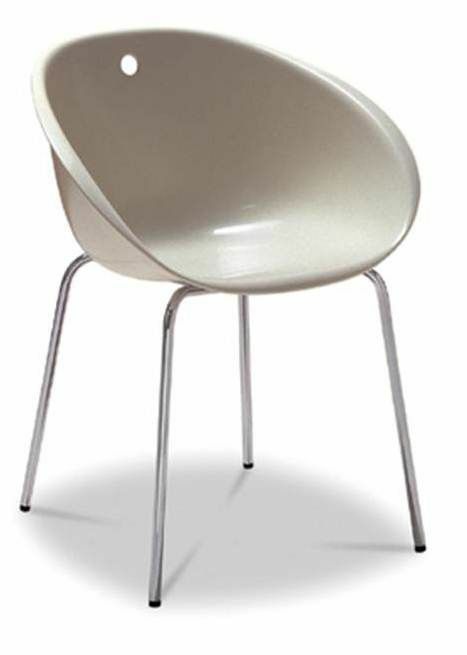 Designer bucket style plastic chairs in a choice of White or Ivory. Seat shell is techno polymer with four legs in Chrome. Available in multiples of two per colour. Ultra-modern bucket style chair with a techno polymer seat, with a decorative slot hole in the back of the chair. Suitable for a variety of contemporary spaces. Manufactured in two clean colours Ivory and White.